An illegal alien in Wixom County, Michigan has now been charged with the death of a 14-year-old American child; who will never again get a chance to live out his Constitutionally promised pursuit of happiness. 14-year-old Justin Lee, of Wixom, was enjoying his bike ride along Potter Road between North Wixom Road and Flamingo Road at around 5:40 PM when a vehicle smashed into him, sending him flying into the air and crashing into the pavement. Emergency medical responders were called to the scene of the horrific crime, but the driver was nowhere to be found, as eyewitnesses said that a blue Honda Odyssey minivan slammed the accelerator and left the scene. After transporting Justin Lee to a nearby hospital, he was pronounced dead on arrival, according to Wixom Public Safety Director Ron Moore. The young boy was both a star football player at Walled Lake Western High School, in his first year, and beloved by many in his family as well as among friends and teachers. His stepfather, Dave Kataja, said that Justin was excited about starting the new season this coming year. Grief counselors are planning to be at both Walled Lake Western High School and Banks High School for students needing help after Lee's tragic death, and now there's more shocking news about the driver that is certain to cause pain for those who knew and loved young Justin Lee. First, a manhunt began to locate the vehicle involved in the hit and run, only for a minivan matching the license plate description by eyewitnesses to be found abandoned in Commerce Township. After looking into the vehicle's ownership and discovering who was behind the wheel, authorities in Michigan would find that the driver was a federal fugitive. Justin Lee’s killer was an illegal alien who shouldn't have been in the United States of America in the first place. 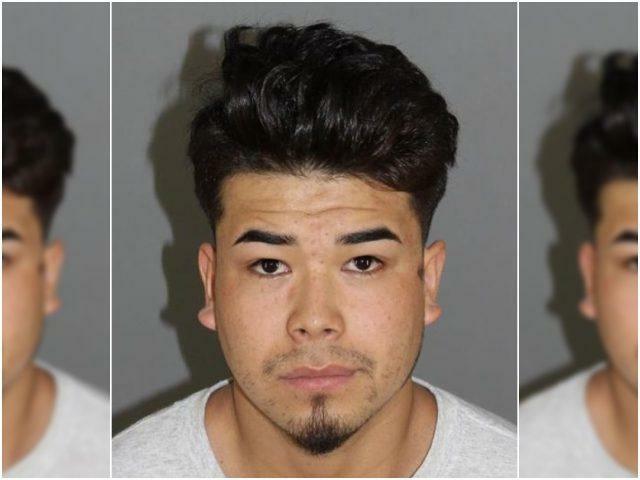 21-year-old Mexican National Miguel A. Ibarra Cerda was apprehended by the Wixom Police Department on reckless driving causing death, and failure to stop at the scene of an accident causing death; both major felony charges carrying up to fifteen-year imprisonment sentences. At his arraignment, Miguel A. Ibarra Cerda was brought before Judge Travis Reeds, who set his bond at $350,000.00 cash or surety, no ten-percent; which is more than likely a guarantee the federal criminal illegal alien killer remains behind bars. Ibarra Cerda is currently being detained inside the Oakland County Jail, where his attorney has stated he will remain until trial. For Justin Lee's family, they'll never see their child again; and his classmates and teachers are without the star football player who brought so much joy to their lives with his outgoing personality. Democrats don't want to talk to you about these stories, but they're happening all across the country on a nearly-daily basis; with illegal aliens being responsible for an enormous amount of crimes against our society. The continuous cycle of violence against the American people by foreign invaders is once again underscored with this case, as we're witnessing the mainstream media push an attempted shift of guilt towards the Trump Administration over the separation of federal criminal illegal aliens along the border with Mexico who is being housed in state-of-the-art detention centers. What they've not told the public, is that the same policies were in effect under Barack Obama; except that the children were kept in cages and in actual abhorrent conditions. They're still criminals, regardless, and they could have avoided the separation by not violating federal immigration laws in the first place. That being said, what of the American children who are murdered at the hands of these same illegal aliens? Just last week, Texas authorities had to engage in a<a href="https://thegoldwater.com/news/28651-Texas-Statewide-Manhunt-to-Locate-Felonious-Illegal-Alien-Leads-to-High-Speed-Chase"> high-speed chase to apprehend an illegal alien who held a family hostage </a>before eluding police in a statewide manhunt. Not to mention the terrifying<a href="https://thegoldwater.com/news/28155-DOJ-Releases-Shocking-2018-Illegal-Alien-Crime-Statistics-and-Media-is-Silent"> statistics of Illegal Alien crimes reported by the Department of Justice </a>recently, which showcase the enormous costs of illegal alien incarcerations to taxpayers. Seems a bit stunning, to say the least, that were not showing similar concern for the countless American children who are sexually assaulted by illegal alien child molesters, kidnapped by illegal alien criminals, or worse, murdered at the hands of the same illegal aliens as they invade our nation. For the people of Wixom, the know too-well just how close to home these invaders are; and with the loss of a fourteen-year-old child, they're left asking <i>who could be next,</i> until the border wall proposed by President Trump is built. Every city, every state; all across America is hit immune to these types of crimes. We must ensure that the livelihood of Americans is placed before that of federal criminals. America first. Send all illegal aliens back to where they came from. Minivans don't kill people, Illegal aliens in minivans do. C'mon hoghead where's the outrage for this kid? Oh it doesn't fit your libretard agenda huh?